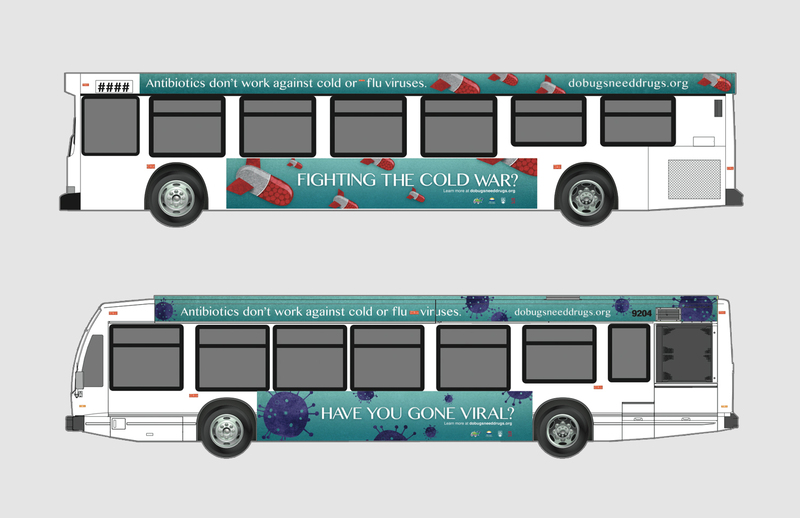 With a successful proposal being greenlit for production, my team was asked to redesign our creative for a transit campaign that would run during cold and flu seasons. The initial proposed art direction for the outdoor billboard campaign showed ample white space to project a clean and clear tone. 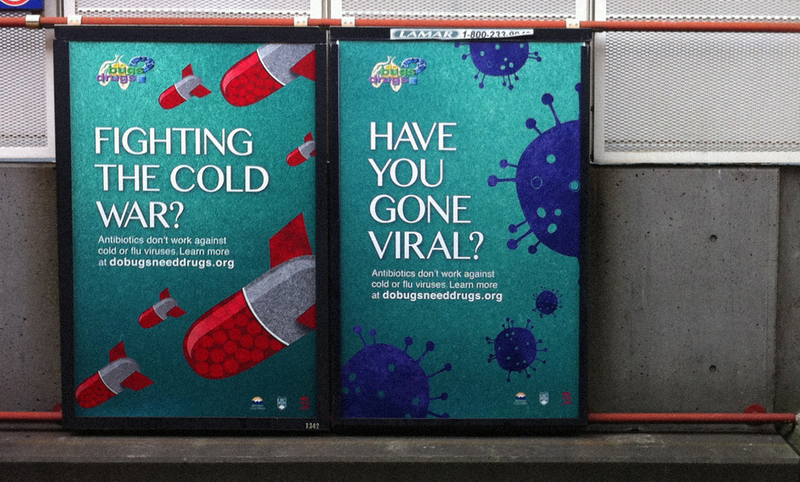 However, in order to stand out from the white buses and light rail trains, this messaging campaign for the Do Bugs Need Drugs Program (DBND) was retooled to break through visual clutter on the streets. 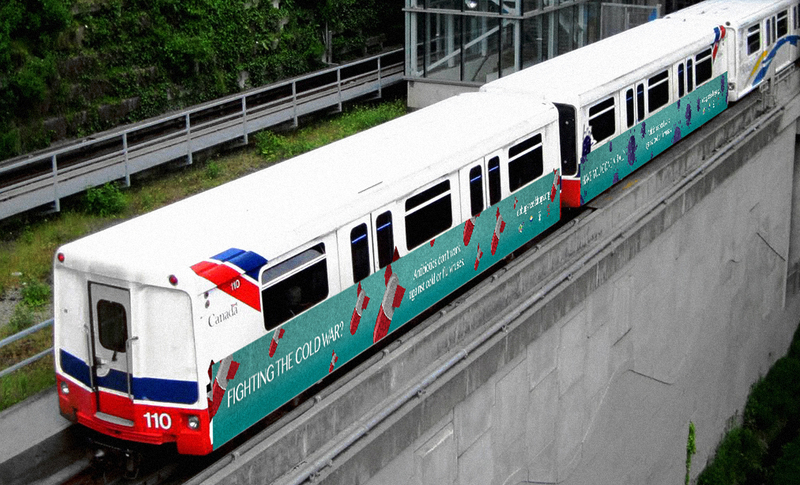 In addition to the transit campaign, another TV spot was created for broadcast on Global and Shaw stations across Western Canada, as well as on the Knowledge Network. 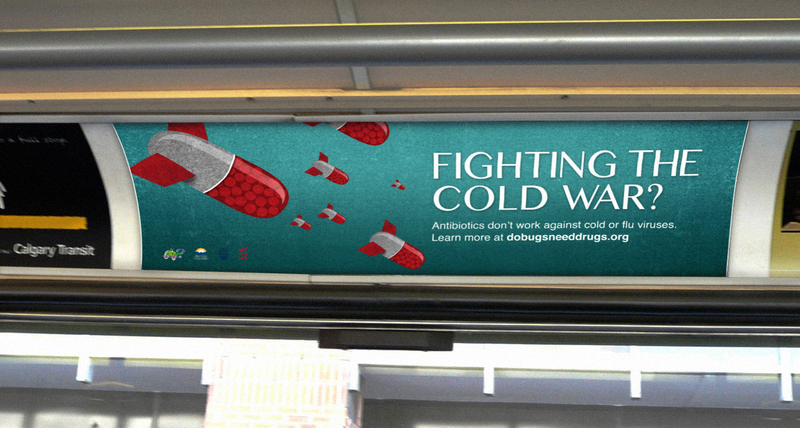 Background: Due to the increase of antibiotic resistance cases over the years, a serious tonal shift in their 2011 messaging campaign targeted to the general public through Television, Radio and Public Transit advertisements was found to be less effective through focus groups, leading DBND to explore alternative approaches. My team was selected to develop a new campaign aimed at parents and guardians. After much research, many concept pitches, iterations, and sample focus group tests we found an approach that was best suited in appealing to our primary target audience of mothers. Our awareness campaign was designed to deliver a serious message with a softer voice. 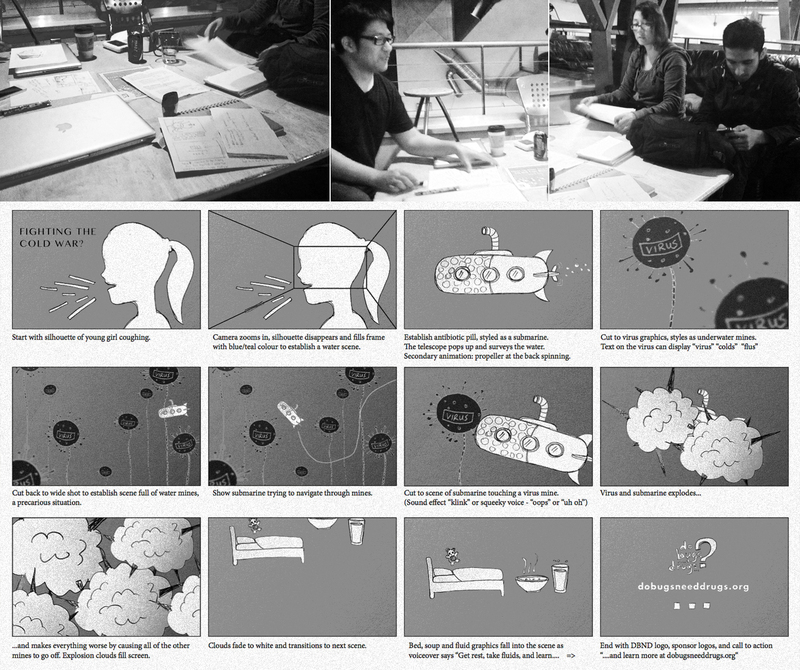 Headlining double-meaning questions led to online engagement and content sharing through a Facebook campaign. Leveraging its viral potential, we developed a series of get-well cards with bits of information for parents to share with their networks. The campaign can be extended to other social platforms, and can be further customized to target different audiences, ensuring future messaging opportunities for DBND. Date: This public service messaging campaign has been running annually during cold and flu season since 2012, with mass coverage in high traffic areas such as city centres, transit corridors, and major shopping centres.